Home > Fact: There’s A National Left Handers’ Day on August 13! Fact: There’s A National Left Handers’ Day on August 13! It’s estimated that only about 7-11% of the world population is left handed. Left handers haven’t always had it easy. During the 1600’s people, thought left handers were witches and warlocks. In fact, did you know wedding rings are worn on the left hand to help ward off the evil associated with the left hand? Things have definitely turned around for lefties. Left handers can now buy products designed for them, such as scissors, pens, knives, vegetable/fruit peelers, rulers, and can openers. In only a few cultures, being left handed is seen positively. For example, in tantra Buddhism, the left hand represents wisdom. Very few people are 100% left handed. For example, many left handers golf and bat right handed. Tennis champion Rafael Nadal actually switched to being a left-handed player. Left-handed people may be more likely to develop schizophrenia. 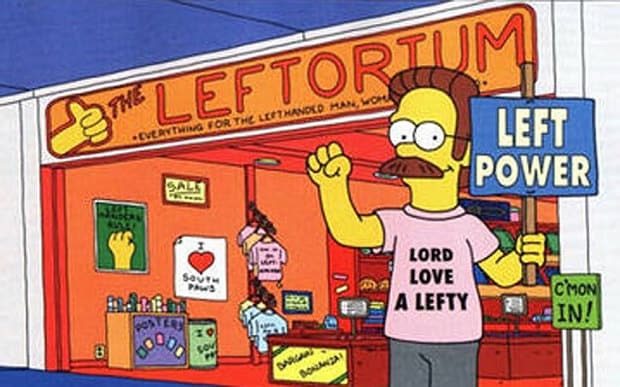 Lefties are also called “southpaws,” a term from baseball. Scientists still don’t know for sure if handedness is genetic. In identical twins, if one is left-handed, the other is left-handed only 75 percent of the time. Lefties may have an advantage in hand-to-hand combat since righties aren’t used to fighting their dominant hand counterparts. The aversion of left-hand shakes developed in the Middle Ages when people used their left hands to wipe after going to the bathroom. Famous lefties include Barack Obama, Leonardo Da Vinci, Bill Gates, Marilyn Monroe, James Cameron, David Bowie, and Prince William. Other U.S. Presidents who wrote with their left hand included Ronald Reagan, George H.W. Bush, and Bill Clinton. There’s also a myth that all polar bears are left handed! 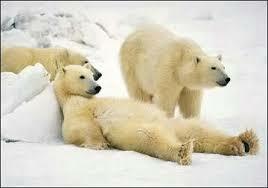 In fact, polar bears seem to use their right and left paws equally. Some people are forced to use their left hands after an injury. Handwriting For Heroes works with amputees who lost their dominant hand to teach them how to write, with pretty good results. Are you left handed? Do you think there should be more accommodations and products for left handers?